School branding, like company branding, has to be an important part of the school administrator’s focus. Creating a loyal group of followers is just as important in a school setting as it is in the business world. Creating a school image that is evokes pride in parents, teachers and students doesn’t happen by accident. 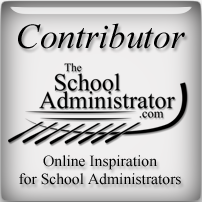 In the following posts, I share some ways to help school administrators develop that positive school image – your brand.